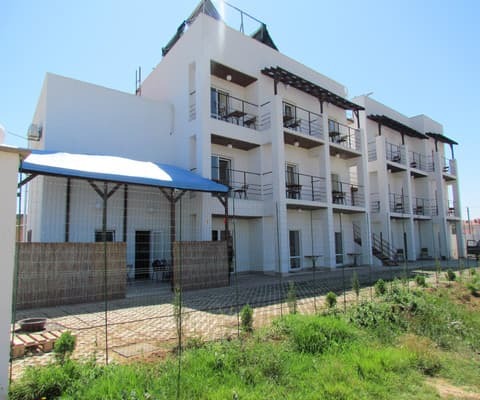 Hotel "Pirate" is located in the suburb of Evpatoria, 10 km from the railway and bus stations and 10 minutes walk from the beach. A cozy area filled with mini-boarding houses and hotels, a gentle climate of the Crimean coast will be located to a pleasant rest. Sandy beach, gentle bottom is acceptable for rest with children. Hotel "Pirate" consists of 18 rooms: 9 rooms - luxury and 9 - standard. The rooms are equipped with everything necessary for a comfortable stay. On the territory of the hotel there is a video surveillance of the courtyard and corridors, as well as a café with traditional Ukrainian cuisine, where you can taste delicious food. Free Wi-Fi and parking are available. PRICES MAY CHANGE, YOU NEED TO RECEIVE INFORMATION FROM THE OPERATOR! 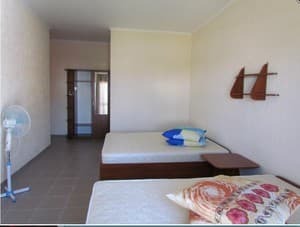 Description of the room: In each room the standard is available: magnificent double and single beds, bed sets, a fan, a wardrobe, hot and cold water constantly, chairs on balconies. 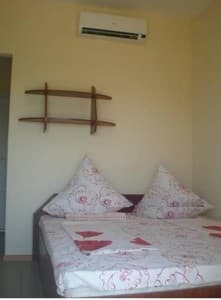 Description of the room: The room has everything you need: magnificent double and single beds, bed sets, a fan, a wardrobe, hot and cold water constantly, chairs on balconies, hair dryer on request. 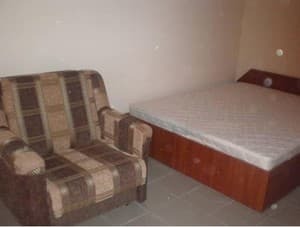 Description of the room: Each suite has: magnificent double and single beds, bed sets, a wardrobe, hot and cold water constantly, a table with chairs on the balconies. 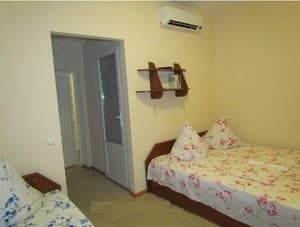 Hotel "Pirate" is located in the suburb of Evpatoria, 10 km from the railway and bus stations and 10 minutes walk from the beach. A cozy area filled with mini-boarding houses and hotels, a gentle climate of the Crimean coast will be located to a pleasant rest. From Evpatoria to Zaozerny it is possible to reach by a fixed-route taxi No. 5, 8 or by taxi. Transfer from Evpatoria is included in the price.